Out of stock since Monday, 27 March 2017. Due back Wednesday, 24 July 2019. 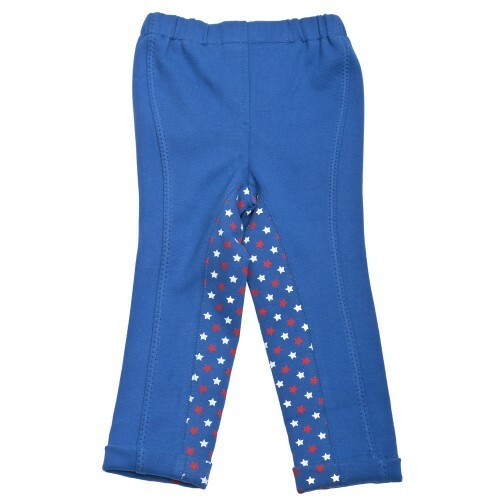 Put a bit of fun in your tots riding with these Star Tots Jodhpurs from HyPERFORMANCE. A hard wearing tots jodhpur that is comfortable, practical and fun. Making your little one want to wear them everyday! The raised polka dot material increases the grip in the saddle. Pull on jodhpur. Machine washable at 40C. Leg length: Regular. There are currently no questions for HyPERFORMANCE Star Tots Jodhpurs - be the first to ask one!